Choke manifold is a system of valves and chokes for controlling the flow from the well usually has two flow paths, one adjustable choke used primarily for cleaning the well up and facilities to install and change choke of fixed sizes for a more accurate flow control during main well flow periods. Each flow path has two closing gate valves which are used to direct the flow through either of the chokes or the chokes or the bypass and to provide isolation from pressure when changing the fixed choke. A dual isolation, double block and bleed valve arrangement is recommended for high pressure, sour gas and sand frac clean ups. Choke manifold is used during well testing,. The positive choke has a fixed diameter and the size of the orifice on the adjustable choke can be varied. In addition the adjustable choke allows fixed chokes to be switched out as needed without stopping the well, increasing the flexibility of the overall system. Hydraulic choke valve (adjustable) is often used in the oilfield when drilling, hydraulic choke valve is designed and manufactured in accordance with API 6A and API 16C standard. They are specifically made for mud, cement, fracturing and water service and are easy to operation and simple to maintain.We have many sizes and pressure ratings hydraulic choke valves used for choke manifolds. 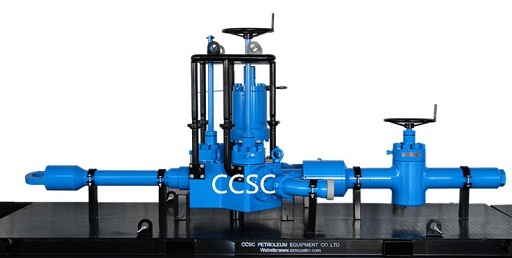 Oil and gas manifold is to divert the flow of oil and gas from the separator to other equipment.Oil manifold connects to the separator oil line to the tank, the transfer pump, and the burners. It allows oil leaving the separator to be diverted to the tank or the burners, or sent directly to a production line. 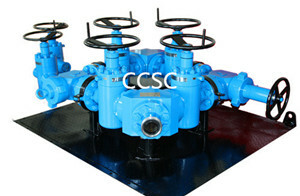 typically, it consisits an arrangement of piping, five ball valves, wing union connections and skid assembly, but flexible configuration of valves and ports. 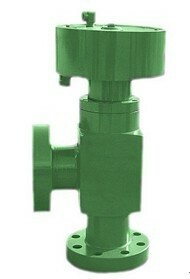 Flowhead - surface test tree consists of four gate valves: a master valve, two wing valves, and a swab valve. The outlet wing valve is opened and closed using an hydraulic actuator. Above the swab valve is a lifting subassembly (sub) with a threaded connection. The threaded connection is often called a quick union. The quick union is used to connect auxiliary pressure equipment which is needed if tools are to be run downhole. Some flowheads have a protection frame bolted to the main block to prevent damage to the valves during handling. Beneath the optional swivel are the master valve assembly and the bottom sub. In order to raise and lower a drill stem test (DST) string, elevators (clamps) are attached to the flowhead.